What if you could control your Spotify playlist Everything You Need to Know About the New Spotify Everything You Need to Know About the New Spotify Spotify is no longer just a music streaming service. At an event in New York, Spotify launched a bunch of new features, including video streaming, in a bid to become an entertainment hub for users. Read More or browse your computer from the comfort of your couch? What if you no longer had to stand by your computer to present an important project How to Give an Online Presentation from Anywhere How to Give an Online Presentation from Anywhere Do you work with a global team or from home? The ability to give a presentation in real-time is a professional need. Here are five tools to present from anywhere in the world. Read More ? With these smartphone apps, you’ll never have to park yourself right in front of your computer again! These application will requires your PC and smartphone to be connected to the same Wi-Fi source. Ensure this is the case if you have any problems with connectivity. Mouse on the fritz but you have a presentation Presentations Evolved: 4 Alternatives To PowerPoint & Keynote Compared Presentations Evolved: 4 Alternatives To PowerPoint & Keynote Compared Even though you can create really effective presentations with PowerPoint and Keynote, these apps are passé (not to mention relatively expensive), and it's time to try something new. Here are four refreshing alternatives. Read More at 12? Don’t want to leave the couch during your Netflix binge 13 New Netflix Originals You'll Be Watching in 2016 13 New Netflix Originals You'll Be Watching in 2016 Netflix has released a lot of original content -- including House of Cards, Orange Is the New Black, Narcos, and Master of None -- but 2016 is slated to be Netflix's most exciting year yet. Read More ? Solve these issues and more with Unified Remote! What makes Unified Remote stand above the competition is its aesthetic appeal and large feature library. It allows you to control multiple desktop applications, such as Spotify, iTunes, PowerPoint, and more, through a single smartphone application. The functional layout of this application is excellent, as Unified Remote allows you to use multiple features, such as keyboard and mouse functions, in the same tool option. With the free version, you’re given everything you would expect and require from a remote control application: basic input, media, power, and presentation controls. Don’t be afraid to use your imagination with these simple control features. For example, do you use a computer other than your main desktop or laptop? Maybe a media server connected to your TV? Connect Unified Remote to all of your computers (no matter the operating system) to turn them off from the comfort of your bedroom. The free version of Unified Remote is great. However the Full version, priced at $3.99, doesn’t just stop at these simple features; you’re given remote PC access, browser remotes, command prompt features, volume controls, Windows navigation, Netflix and Plex remotes among other media software, custom key features, widgets, and much more. If you can’t bring yourself to the computer, bring the computer to you. These remote access How to Use Remote Access Efficiently, Safely & Securely How to Use Remote Access Efficiently, Safely & Securely Read More applications will allow for smooth and reliable screen sharing between your PC and your smartphone. 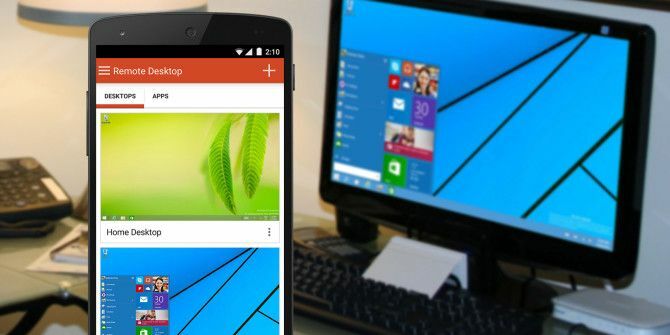 Microsoft officially released a free remote desktop viewer last year, available for all major smartphone labels. If you’re ever in need of a Remote Desktop viewer, the official Microsoft Remote Desktop application provides a simple, yet secure, connection with your computer so you don’t have to manage multiple tech gadgets at once. Need to access some documents or other sensitive information but don’t want to bother plopping down in front of a PC? Remote Desktop does that and more. A great feature of this application is its natural use of Windows’ remote connection function. 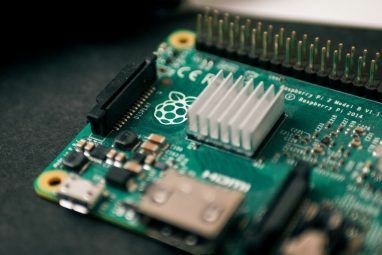 You won’t need to download any third-party server clients or extraneous software; simply activate remote connection under Start > type remote access > Allow remote access to your computer > Remote Desktop > Allow remote access to this computer and get started! You will need to add some information into the application as well, including your PC’s username and password, but the process is surprisingly simple and straightforward. Keep in mind, your remote desktop connection will log you off of your PC. Just like that, you’ll be able to control your desktop completely with your smartphone without the need of a desktop server client. Unfortunately, Microsoft Remote Desktop is only available for Windows Pro versions on account of the desktop share feature not being available in Home version. For another free, multi-platform remote desktop viewer, check out Chrome Remote Desktop. 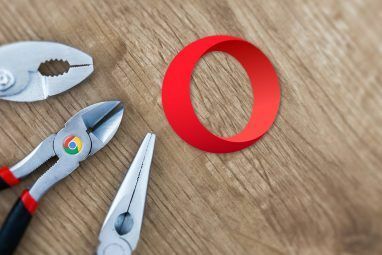 Google Chrome is already an impressive browser, touting an extensive list of handy features and extensions for their users to enjoy. One such feature is the free Chrome Remote Desktop application, which allows the user to access their desktops and laptops wherever they are through your Chrome browser. Chrome Remote desktop is yet another remote desktop application that doesn’t require a third-party remote server; instead, the application downloads the server as it would any other chrome application (accessible under chrome://apps). One particular feature (other than universal accessibility) that makes this application amazing is its ability to control your PC without the need to log off from your main computer. You can play music and watch music with your computer speakers, all without sitting in front of the computer. Plus, you don’t even need to have the Chrome browser open on your PC to use it! Just because you’re away from your keyboard doesn’t mean you have to be away from your computer. With these smartphone apps you can control your PC sans keyboard and mouse. Would you like to use your smartphone to control your PC? Why and what for? Let us know in the comments below! 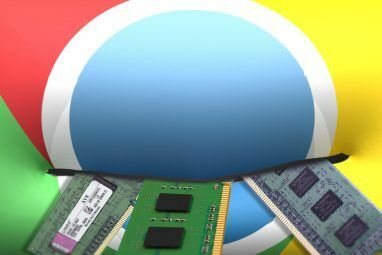 Explore more about: Google Chrome, Remote Access, Remote Control, Remote Desktop. I get paid £88 every hour from online jobs. I never thought I'd be able to do it but my friend AM is earning £10k /monthly by doing this job and she showed me how.Try it out on following website.. I am a modern day square dance caller. To lighten my equipment load, I've recently purchased a new powered amp with builtin speakers and blue-tooth connectivity. Using my old system, I had a separate amp, that my PC was connected to. I could control the volume of the music with a volume knob built in to my microphone cable. It was a built-in ability of the (old) amp's feature set. Long story short: I'm hoping one of these apps will work to conveniently change the music volume, and quickly, at that. Its an "on the fly" operation, that is rather necessary in this line of work/activity.